India's large metropolises are struggling to cope with rapid growth and the rising demand for urban facilities, but smaller cities -- that have vast treasures of natural resources -- now have the opportunity to unlock their value and rival the country's mega cities. The Global Initiative for Restructuring Environment & Management (GIREM), in its bid to give shape to this grand concept of building future cities, has identified 36 prominent Tier-II cities in India which in recent times have been nudging for recognition with their inherent strengths but still display muted promise of becoming great modern cities. GIREM 36 focusses on a new strategy to develop smaller cities as magnets for allied investments in development of key areas of infrastructure, education, and research and industry. 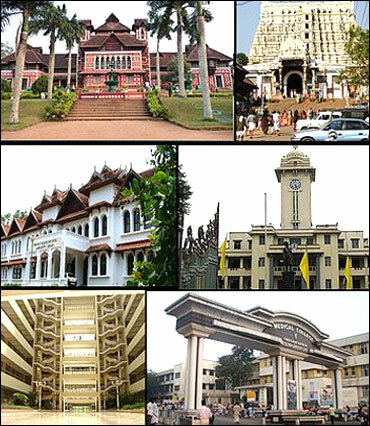 Image: From top clockwise: Napier Museum, Padmanabhaswamy Temple, University of Kerala, Government Medical College, Kerala Institute of Medical Sciences, Bhavani building in Technopark. Ideal for business in - trading, education, and IT. Major business sectors include construction, manufacturing, shipbuilding, transportation/shipping, seafood and spices exports, chemical industries, information technology (IT), tourism, health services, and banking. Construction and manufacturing combined contributes 37%, and trade, tourism and hospitality together provides another 20%. 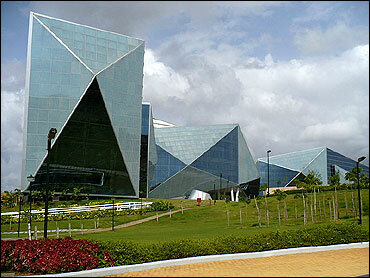 Image: The Tejomaya building at InfoPark, Kochi. The economy is mainly business oriented. A premium education centre of Karnataka. Has the potential to be an important business and industrial hub with the port acting as a key catalyst for trade and business. Its importance as an educational centre is pitching it into a new knowledge city in the state, especially for BPO, research and marine sector. Ideal for business in - port, education, trading, and IT. Major information technology (IT) and outsourcing companies like Infosys, Wipro, and MphasiS BPO have established a presence in Mangalore. 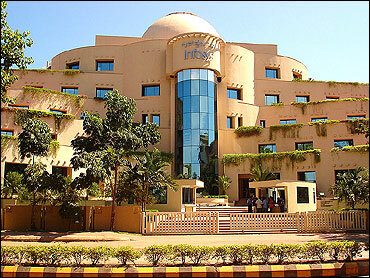 Image: The Infosys campus in Mangalore. Is already an envy of many Karnataka cities having grabbed attention with its educational and trade background, with being one of the few smaller cities to get an air connectivity. Ideal for business in - education, STPI, heavy machine tools, automotive manufacturing, and tourism. Stands second to Bengaluru in terms of overall exports in the state (mainly automotive industry). Image: Kamala Basati at fort Belgaum. A sedate and characteristic city with potential to blend its cultural, educational and industrial background to give a fillip to knowledge industry. 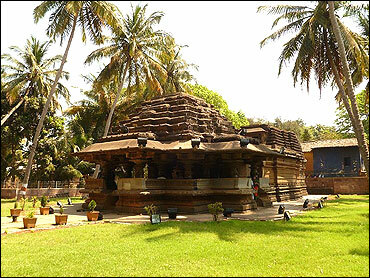 With its moderate climate and neat planning it has the potential to rival Bengaluru. Also, planned as part of a proposed Japanese industrial corridor, starting from Chennai via Bengaluru, Mysore ideally can be an investor's paradise for high speed transport like the bullet train. Ideal for business in - education, tourism, small scale industry, IT, research, and silk. A city of temples and cynosure of south Indian culture and tradition, Madurai presents a happy amalgamation of modernity and tradition. Amply anchored on education centres, it provides an ideal opportunity for developing into a model future city. Ideal for business in - rubber producing centres, sport goods, production of automobile rubber component, automotive, IT & ITES, textile, retail and malls. In the recent years, the city has seen growth in the hospitality industry. A hub of technological, educational and agricultural activities, the hinterland this southern part of India boost of high tech production units like BHEL, which produces critical engineering products and components. 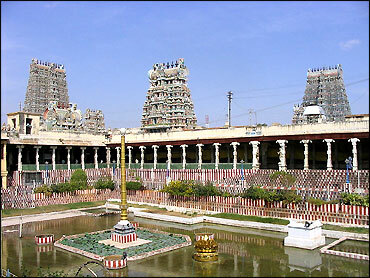 Another example for Madurai to be developed as a composite model of modern city. Ideal for business in - industrial, engineering equipment manufacturing, software exports. A pastoral city abutting Nilgris has emerged as a strong engineering, textiles, hosiery and poultry, industrial hub (auto components, sophisticated electrical motors) serving notice to emerge as important IT centre. Ideal for business in - engineering, textiles, hosiery and poultry industries, IT & BPO, manufacturing, auto components, wet grinders, pump manufacturing, gem manufacturing. 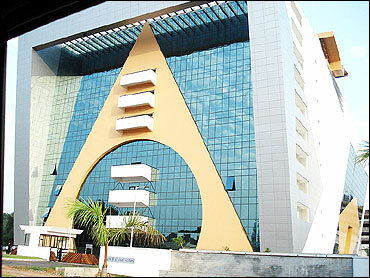 The city is the second largest software producer in Tamil nadu, next only to Chennai. Image: Dr Nanjappa road opposite Gandhipuram Bus Stand. Steel city with reputed educational institutes is nudging for support to harness its agricultural and technological strength to via for a place among future smart cities. Ideal for business in - textile, steel, automotive, poultry and sago industries, fabric exports, and IT. 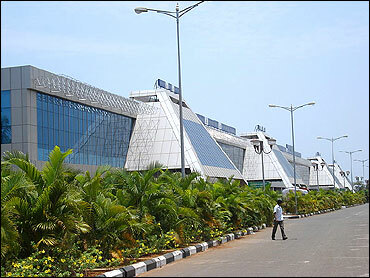 Predominantly a port city, Vishakapatnam boosts of an array of heavy and light industries. It's inherent strength as a tourism attraction and a big potential for financial services, retail and entertainment business can be the magnet for the investors to transform into a future 'smart city'. Ideal for business in - port city, seat of education, tourism, petroleum, steel, fertilizer industries, iron ore and other mineral exports of India. Other industries include ITES, banking, real estate, retail and entertainment. The city has seen rapid growth in the retail and entertainment sectors during the past decade. 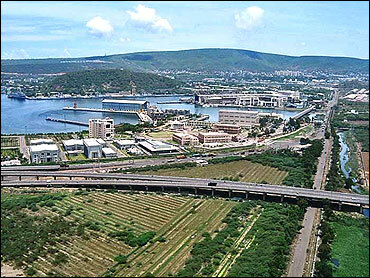 Image: Visakhapatnam seaport; harbour interchange fly-by road. A trading centre for agricultural commodities, Vijayawada is fast emerging as a center for auto body building, garment and hardware small scale industries. 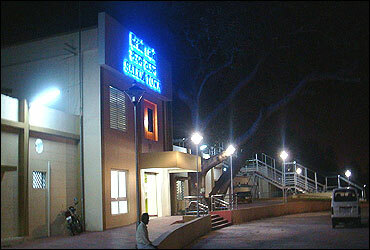 Its location on the banks of Krishna gives it a unique status to be developed as a modern tourism centre. Ideal for business in - trading center, agriculture, small scale industry, and garment business. 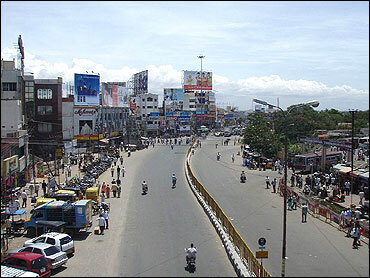 Vijayawada is famous for automobile body building, garment, iron and hardware small scale industries. 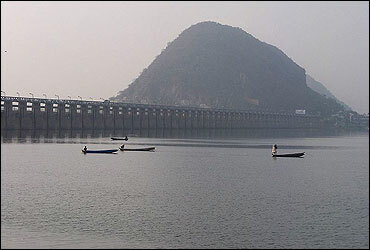 Image: Prakasam Barrage view from Padmavati ghat. It's location at the centre of India has earned it to be an important growth center in industry and key logistics base for supply chain investors. Ideal for business in - education, banking, food manufacturing, logistics, trade, and cargo hub. 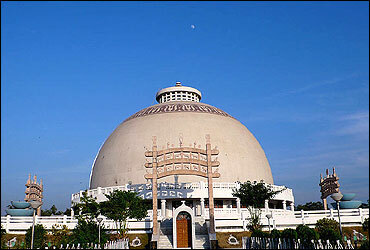 Image: Deekshabhoomi is a major center of the Dalit Buddhist movement. A town which anchored the milk revolution is an envy of its smaller brethren for its rapid growth, through its dairy industry and being an educational centre (IRMA). Ideal for business in - dairy industry (Amul), and education. Its glitter as a diamond city and solidarity of an important trading and business centre, and textile and manufacturing activities can make this Gujarat city an aspiration of any modern citizenry. Ideal for business in - education, trading and business centre. Diamonds, textiles, diamond-studded gold jewellery manufacturing. 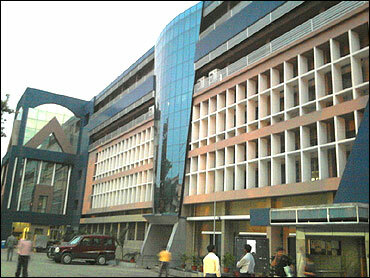 Real Estate is a new emerging business in Surat. Boosting for an ideal mix of petro & pharmaceuticals complex and education, Vadodara is emerging as a hub in Gujrat in IT and other development projects. It's proximity to Ahmadabad makes it an ideal habitat of modern living. Ideal for business in - education, industrial, petro, IT,Pharmaceuticals, cotton textiles and machine tools. Image: Nyay Mandir in the heart of Vadodara. This lake city steeped in royalty and tradition can emerge as a resort for hedonist paradise. Ideal for business in - education and tourism. 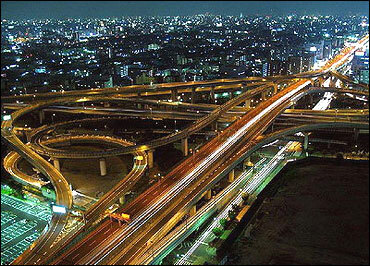 Size of the city - Manesar has been developed in four phases. HSIDC has developed 1,750 acres (7.1 km2) of land in Phase I, while work is in progress in Phase II (180 acres) and Phase IV (650 acres). HSIDC has allotted phase III (600 acres) to Maruti Udyog Limited for their expansion project. 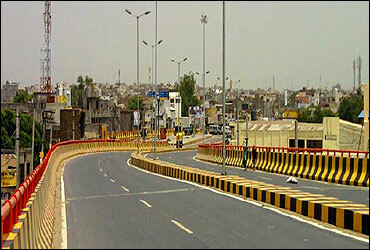 The famous Maurti Suzuki city is making waves with IT and BPO and boosting of industrious population of Haryana. Has potential to become an envious future city rivaling its big brother Gurgaon. Ideal for business in - education, hotels, industrial and commercial trade centre. Manesar is listed amid top prospective investment locations in India. 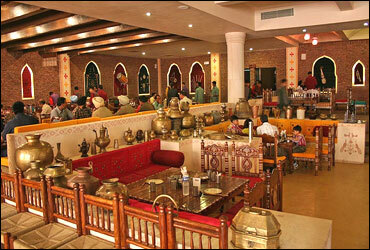 Image: Heritage Village Resort and Spa Manesar. A sedate city of defense, educational and industrial establishments, has the distinction of being a very popular centre for visits for anybody, now requires a veneer of modernity to push it into a strong modern city. Ideal for business in - scientific products market and clothing. 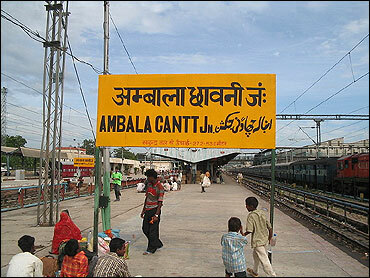 Image: Ambala Cantonment Railway Station. A small agricultural & dairy research center has the attributes for becoming a future sophisticated city. Ideal for business in - agricultural and dairy research. Image: Haveli Highway Punjabi fast food drive-in at Karnal. An industrial and educational centre has the potential to draw investments away from the contiguous big metropolis like Delhi. Ideal for business in - industrial and education. It's the centre for fishery, research and education needs to imbibe a modern character because of its closeness to Bhubaneswar the capital of Orissa. Ideal for business in - research centre, fishery, seat of education, food processing, and horticulture. Famed for its agricultural, research and education and closeness to Delhi, Pantnagar enjoys a special importance to be developed as a smart city and a hub of investment in industry based on agriculture and forestry. Ideal for business in - seat of education, agricultural research, environment industry, cosmetics & allied, plastic & allied, apparel & allied, agro food & allied pharma, products, electrical, electronics & allied, furniture hub, institutional, commercial & allied. Enjoying the reputation of mini- Mumbai. Enjoys the centre of trading, financial and manufacturing center, already boosting of cosmopolitan pretence, the city is in the centre of M.P.and retail, and IT. 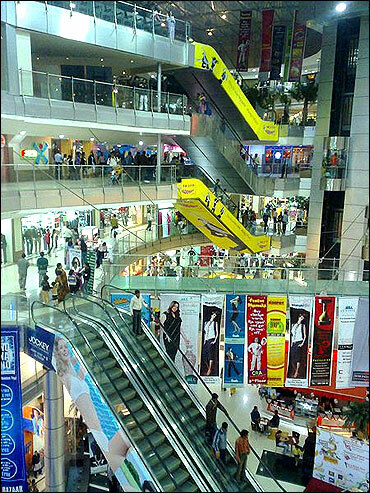 Image: Treasure Island Mall, 1st in Madhya Pradesh. 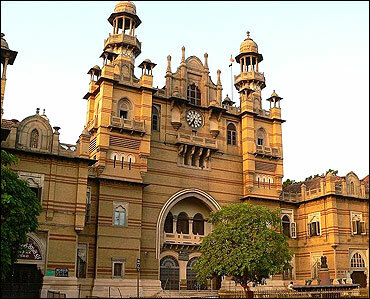 City of forts and royalty, Gwalior's reputation of education and tourism attributes make it fit case to be developed as a future city. Hinterland to eastern U.P and adjoining Delhi is emerging as a alternate hub to the metropolis of Delhi, already rooted with manufacturing, small scale units. It's a highly industrial city of U.P. It lacks a modern outlook and the sophistication of a city already endowed with rich industry and business. Ideal for business in - manufacturing, healthcare, retail, small scale industries, medium scale industries, large scale and heavy industries. 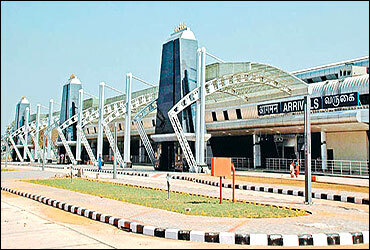 It is one of the most industrialised cities in Uttar Pradesh. 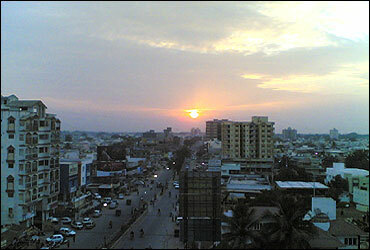 The city has 32 malls, second in India only to Bangalore. 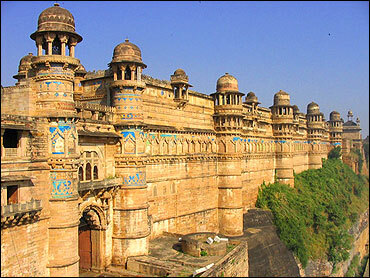 Image: Maan Singh Palace at Gwalior fort. One of the oldest industrial town wearing the reputation of India's leather and textile center, this neglected city endowed with many complex engineering, fertilizers, chemicals and auto industry badly needs to be revived and lent a hand with a future outlook. Ideal for business in - Industrial town, textile and leather, fertilizer, chemicals, two wheelers, soaps, pan masala, hosiery and engineering industries, and ITES. Outsourcing sector as a favoured location with several new startups setting up shop. 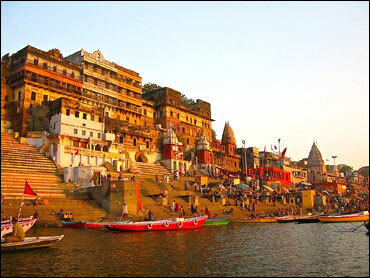 The city of holy Ganges and attracting pilgrims and tourists for its confluence of 3 important rivers, Allahabad needs to be given a facelift to bring into focus its education, business and tradition with a smarter city plan. Ideal for business in - commercial business, glass and wire based small scale industry. The holy city of the Ganges and an important ancient seat of learning, Varanasi is a potential future city with its education, tourism and manufacturing business. Ideal for business in - education centre, textile, silk, IT potential, tourism, manufacturing. Still brisling with vestiges of French culture and sophisticated professional educational institution of the cost of Bay of Bengal; Puducherry needs to assume a futuristic look to give significance to its reputation as an international city, reflected in Auroville city. Ideal for business in - education, tourism, IT, and airline travel. These twin cities of UP, distinct in their characters of Mughal and Indian monuments and pilgrimage are already a centre of small scale industries and a growing center for hospitality, being part of the golden triangle of India's tourism centre ( Agra, Mathura, Jaipur). Ideal for business in - small scale industries, education centre, tourism, hospitality, biotech, textile exporting, automobile, and real estate. 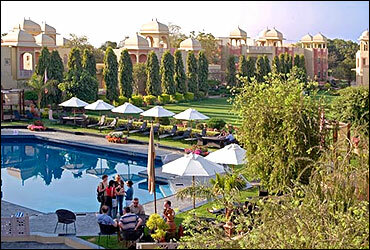 Agra has some of the finest hotels and spas in India. Agra also has Uttar Pradesh first plant biotech company Harihar Biotech. 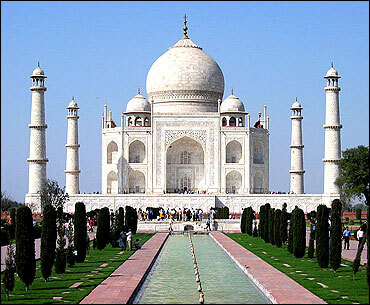 Agra has also an important market for the automobile industry. 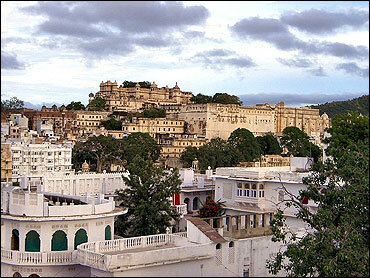 Mathura has potential for oil refineries, polishing and textile printing industry. Reputed as a tool room center and an automobile parts production centre, Ludhiana can be a developed into a future city with its traditional strength and modern business of IT. Ideal for business in - textile manufacturing, tooling centre, automobile parts, sewing machines, agri products, and malls. 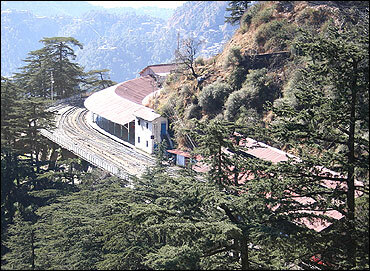 Snuggling in the foothills of the Himalayas, Shimla can add its profile from its present importance as a city of Apples, forestry and Healthcare into an important health tourism centre. Ideal for business in - health tourism, IT, wine, horticulture (apples), forestry, hospitality industry, and healthcare. A heavy engineering industry center, Ranchi has the potential to be the next smart city in the state of Jharkhand. Ideal for business in - industrial, infrastructure, climate control equipment. The capital of Bihar shrugging itself from the slumber of backwardness and static city is already a centre for IT, FMCG and educational activities. What it needs is connect with modernity and cosmopolitan culture. Ideal for business in - FMCG industry, service sector, and IT. 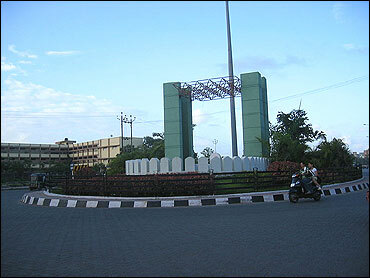 It's synonymous with petroleum industry, trade and forestry; Guwahati needs to be developed into a composite modern city. Ideal for business in - manufacturing, petroleum, trade, commerce, transportation and services. There has been a huge potential in retail, real estate development, tourism and finance. 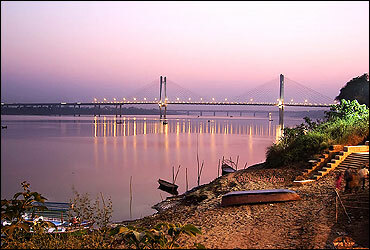 Guwahati is also important for printing and publishing, as well as businesses related to electronic and print media. 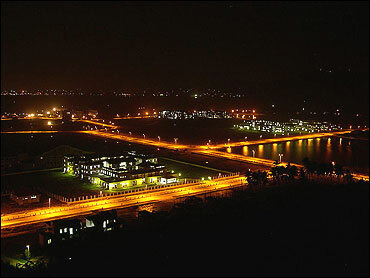 Image: Night view of IIT Guwahati.